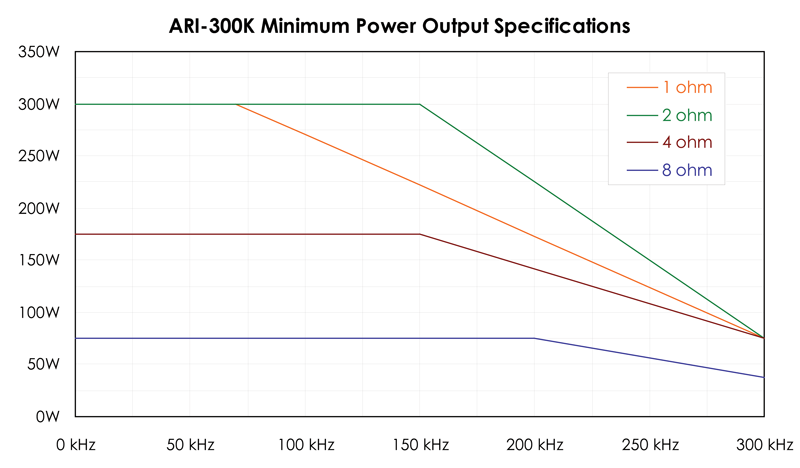 The	Com-Power	ARI-300K	Power	Amplifier	is	specifically	geared	for	conducted	and	radiated	susceptibility	testing	such	as	that	described	in	MIL-STD-461	(CS101	&	RS101)	and	RTCA	DO-160	(Section	18),	in	addition	to	other	standards. 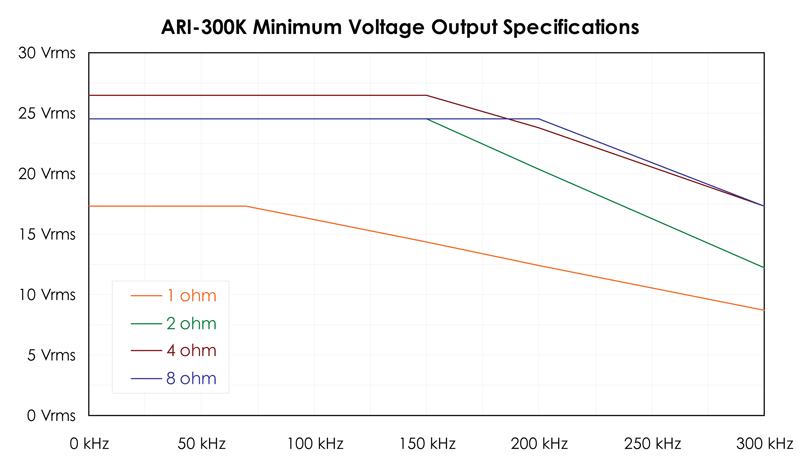 The	ARI-300K	operates	from	DC	to	300	kHz. Its	output	power	capabilities	exceed	300	Watts	into	1	ohm	or	2	ohm	loads;	150	Watts	into	4	ohms;	and	75	Watts	into	8	ohms	(refer	to	graphs	below	for	minimum	output	specifications). The	amplifier	is	equipped	with	protection	circuitry	to	avoid	damage	in	the	case	of	input	overload,	improper	output	connections	(shorted	or	improper	loads),	over-temperature	as	well	as	over-current	conditions. The	digital	front	panel	display	indicates	the	internal	temperature	of	the	amplifier	as	well	as	the	bias	current. 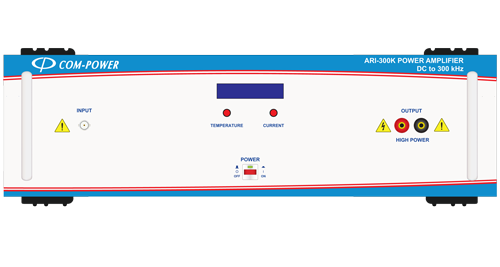 There	are	also	LED	indicators	for	over-temperature	and	over-current	fault	conditions. Standards: MIL-STD-461, RTCA DO-160, etc.